Automate your bookkeeping... and free your time! 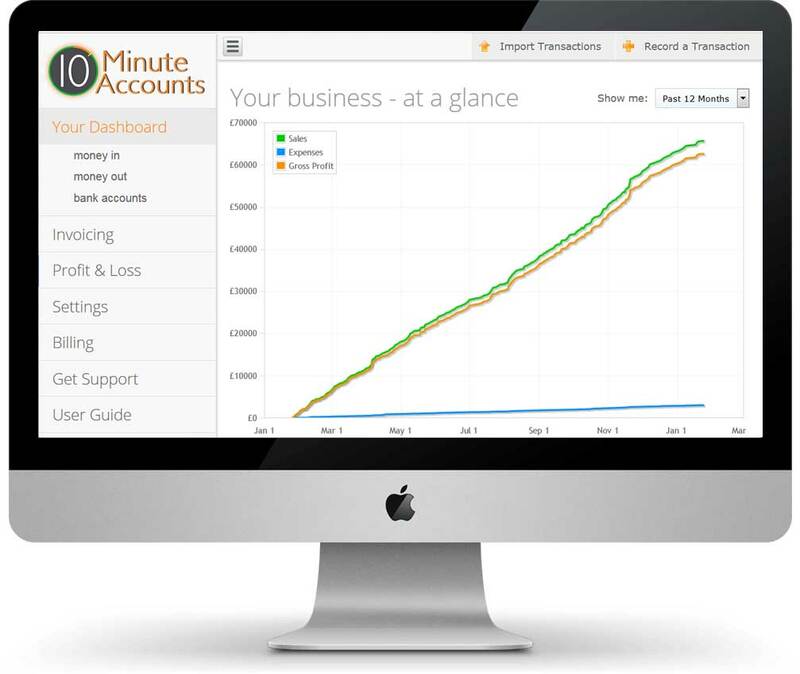 10 Minute Accounts does your accounts in real-time, so it updates right when you make a sale, or buy stock. It’ll integrate direct with PayPal, so you can see to the minute what’s making you money, and what’s costing you. You can also import transactions from your bank, credit card, or even input cash transactions individually. As you categorise transactions, the software will learn… and categorise transactions faster and faster. 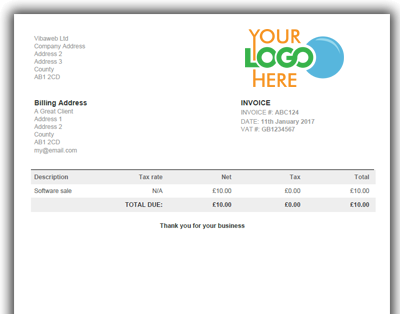 It takes a few moments to set up invoices, and it instantly adds a level of professionalism to your business. You can use your own logo, so even if you’re not yet a big time seller, you can underline your brand and get your logo seen by customers. It’s just one extra feature to help customers come back and buy again and again. Invoices can also be automatically generated and sent to your customer every time you receive a PayPal payment (you’ll love how much time this saves if you already create invoices manually). VAT registered? VAT itemised invoices can be created as standard – and you can even adjust VAT rates for different categories of products. Check your Sales from anywhere, anytime. You can use 10 Minute Accounts from ANY internet-enabled device. The software runs in your browser, so there’s nothing to install, and you can go from working on your phone, to your tablet, to your PC. The charts, dashboard and transactions are linked to your PayPal account, and they’ll update in real-time. Log in from anywhere, anytime, and see exactly how your business is doing. 10 Minute Accounts is fast. First you need to integrate PayPal. This takes around 30 seconds. Once you’ve done this, PayPal will automatically update 10 Minute Accounts, and import your transactions. All your eBay sales that are sold through PayPal are imported into your account in minutes. 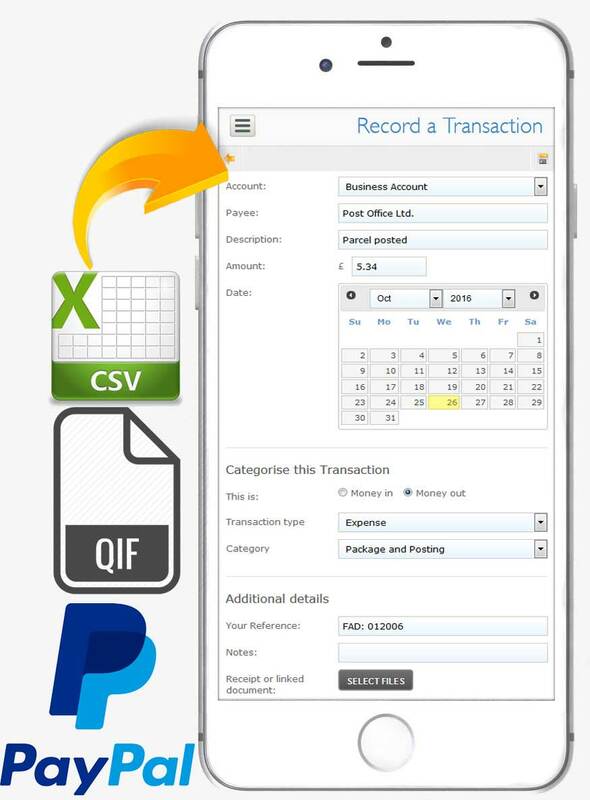 As they are imported, your transactions are automatically classified as Sales or Expenses, or Bank Transfers. If you’ve classified a specific product or sale type in the past, the system ‘remembers’ and classifies other transactions the same way in the future. If you have other businesses, or you receive cash or bank transfer payments, you can import transactions direct from your bank account. Import your online bank statements, and the transactions will be classified the same way as PayPal transactions. You can update the way transactions are categorised, either one at a time, or by matching all similar transactions at once. Once your transactions are in place and classified, you’ll see just how powerful the system is. 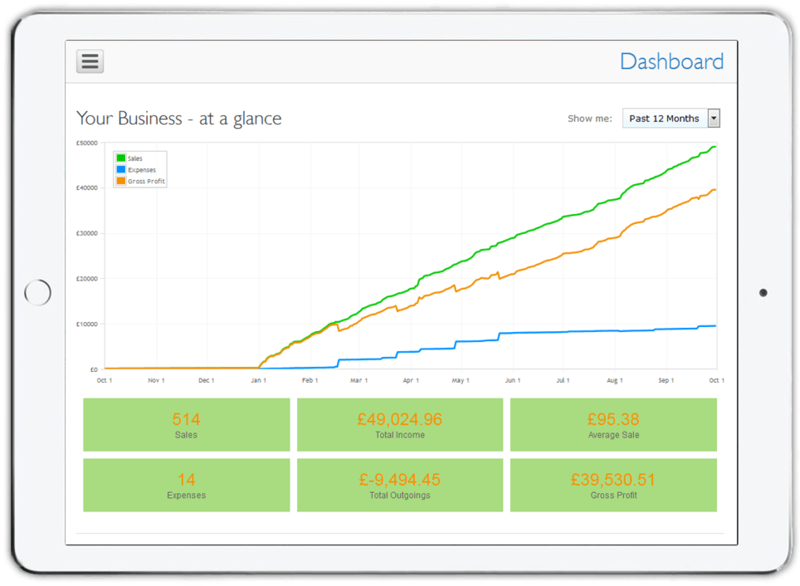 Sales and Expense categories mean you can track your best sellers or biggest costs; Profit and Loss calculations will automatically be updated; your charts will show trends and quirky blips. 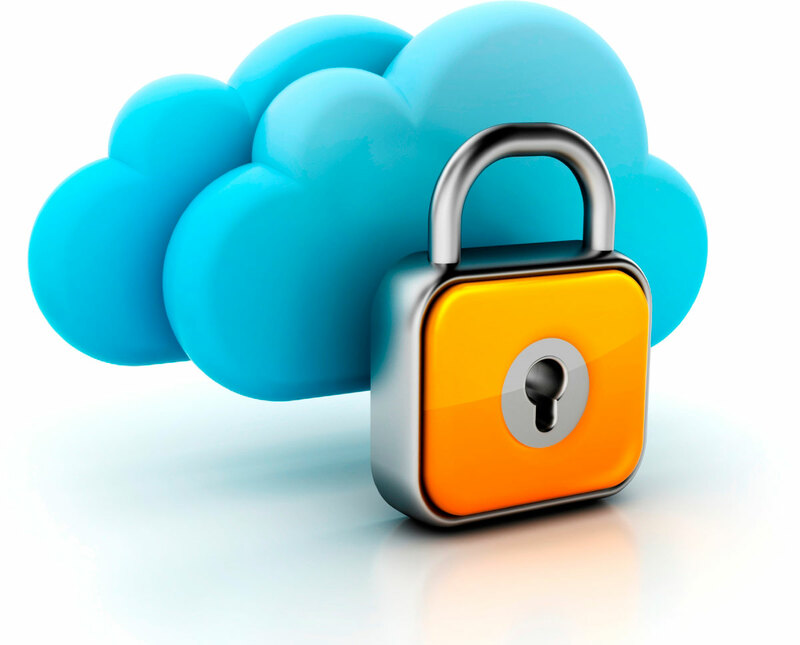 We use the latest, military-grade security technology to protect your data, at every point you connect with our systems. Whether you have a question, want a feature or just fancy a chat, feel free to get in touch. You'll experience our legendary customer service and support - and unlike our competition, it's completely free. You can click here to send us a message, or once you're logged in, via the Support Portal in your secure 10 Minute Accounts area. We're based in Chester, UK, and have regular UK office hours. Our support times are 9am - 5pm, Monday to Friday. Do you support Making Tax Digital? Yes – we were one of the first to receive HMRC recognition as a MTD provider, and are enrolled in the Making Tax Digital pilot scheme. If you are eligible to join the pilot scheme, you can begin filing VAT returns as soon as you start using the software. Alternatively, you’ll be able to file your VAT returns as normal until April 2019, and start using Making Tax Digital then. 10 Minute Accounts is really, really cheap. I sell 10,000 items a month - can I use your software? Yes. Unlike other software providers, 10 Minute Accounts does not restrict the number of transactions you can process per month. Yes – we support a wide range of currencies. For your convenience, any foreign-currency transactions are automatically detected and converted to your local currency. The original amount, original currency, local currency, and exchange rate used are all stored so you can verify the transaction amount, and make adjustments if necessary. If the exchange rate is not immediately available from PayPal, we’ll estimate the local currency value of your transactions for you, using the latest exchange rates from the European Central Bank. If you make or receive transactions in a different currency, this will also be supported, but you will need to enter the exchange rate manually. Does this software work in the USA / EU / my country? Yes – we support international countries. After you register, you will be able to set up your profile. Just set the Registered Country of your business (or self employment) as needed. We support all EU countries, as well as the USA, Canada, Australia, and many others. Not all features are available to all countries. For example, the ability to submit taxes direct to HMRC is limited to businesses based in the UK. If you want to check if we support your specific country not listed here – please contact us. Do you need my eBay / PayPal password!? No, we do not need or ever ask for your eBay or PayPal passwords. To sync with PayPal, 10 Minute Accounts is authorised as a PayPal app. 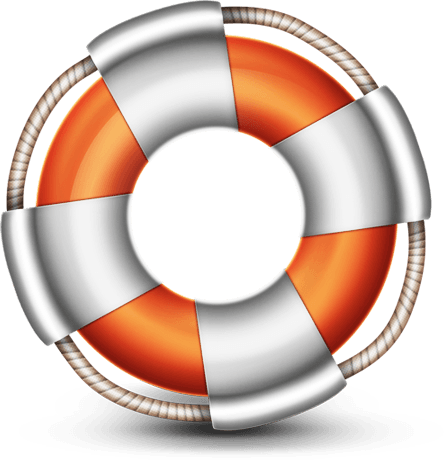 This means you maintain absolute control over what the software can and cannot do. It needs read-only credentials, so it is not able to view anything you do not want it to, and it is not able to make payments on your behalf. Can I use this to file my annual tax return? Yes. 10 Minute Accounts will calculate all the figures you need. You just need to enter the numbers into your tax return. Do you support the VAT margin scheme? While we support both Flat Rate and Standard VAT, at present we do not support the margin scheme. No problem! Just click here to contact us and we’ll get right back to you. Once you’ve started using 10 Minute Accounts, you’ll also have access to the Support Portal, where you can ask support any question you like. We’re based in Chester, UK, and have regular UK office hours. Our support times are 9am – 5pm, Monday to Friday. I’ve been selling motorbike parts on eBay for a long time, and always found the accounting and receipts side such a pain. 10MinuteAccounts has completely changed my business, as now all my transactions are automatically imported and categorised, and accounts auto generated. I can see real time charts, graphs and tables of how my business is performing, and quickly print out the numbers required for tax returns. I absolutely couldn’t do without this, and it’s easily worth 10X the price. Thanks guys, what a fantastic solution! Before I started using your software, it took me hours to do my books. As a busy mum, I usually didn’t get time so was in a mad rush at the end of the year. I get lots of sales through ebay so it took me a long time to put them all into excel. I am so glad I found your software. It’s given me my life back!! I also love that my customers automatically get an invoice when they check out now. It’s just one less thing I have to do. I’ve been using 10 Minute Accounts for a few months and it’s simply amazing. I recently starting trading as a business seller on eBay in April 2017 and wasn’t sure which way to go with my accounts until I found 10minuteaccounts, now I wouldn’t use anything else, everything is there for me to see instantly and it all tallies up perfectly, figures for each quarter, the full year. All the bases are covered. Plus the customer service is second to none. I’ve been using this 10 Minute Accounts since February 2016. “Your Features” has functional invoices that I use and add-ons, which has made this site more functional in terms of data capture, for various transactions in every day business. This was very useful to me in supplying the information to HMRC for tax purposes and proof of my earnings in a logical progression. The graphics in the “Your Dashboard”, on the site are excellent and the “Your Business – at a glance page”, contains information that does just that and more. All at a price that any small business can afford. I highly recommend this online accounts package for small and larger businesses.